If there is a mistake on your 30 day entry permit, you should contact the Visa Application Centre before you travel to the UK. 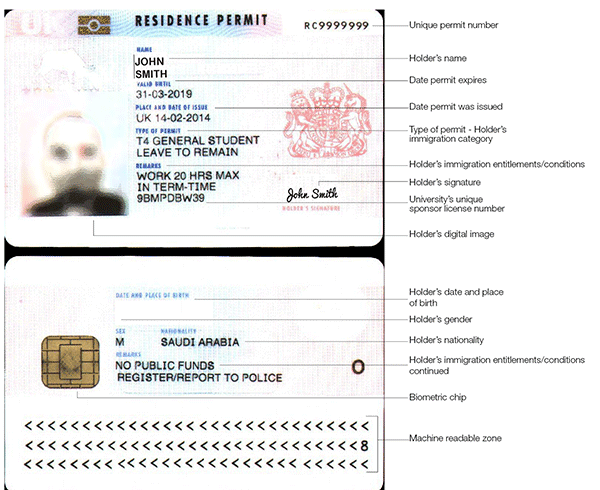 If there is a problem collecting your BRP, for example because you have lost your decision letter or you have been unable to collect your BRP within 10 days of arrival, you should contact the Home Office straight away. It is important that you check your BRP once you have collected it. If you think there is a mistake on your card you must be report this within 10 days of receiving your card, otherwise you may be charged for a replacement. These mistakes can be reported on line at the Home Office website or you can contact the International Student Support Team who can help you get the mistake corrected. Our BRP information leaflet gives you more information on what you should do once you have collected your BRP.